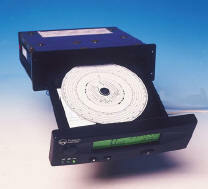 The 2400 tachograph utilises an advanced low power microcontroller for increased programming and function capability. The 2400 operates from the Veeder-Root 4 Wire 8 pulse sender (European dual channel type), comparable competitor units and encrypted or non-encrypted proximity senders. The 2400 is available for either 12 or 24 volt supply. See the current brochure for more details.